The creative juices have been flowing for The Priory's Robotics Teams. "Team Louie" is comprised of sixth and seventh graders, "Team Olga" of eighth graders. Both teams have been working since September on their robots. 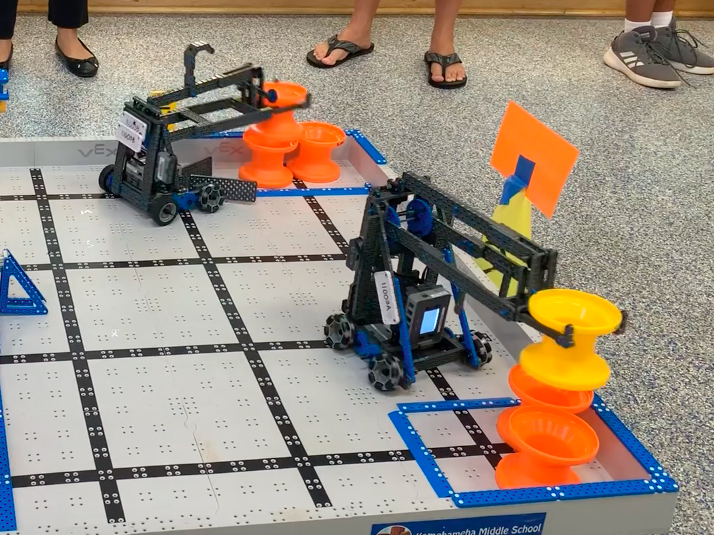 The hard work was especially rewarding when Team Louie won the Create award on Saturday, February 2 at the West Honolulu VEX IQ Robotics Tournament at Kamehameha Schools. Designing a well-crafted robot with a unique design that showed creative thinking. Demonstrating a highly creative design process and methodology. Being committed to ambitious and creative approaches to solving the design challenge. Understanding and explaining how they worked together to develop their robot. 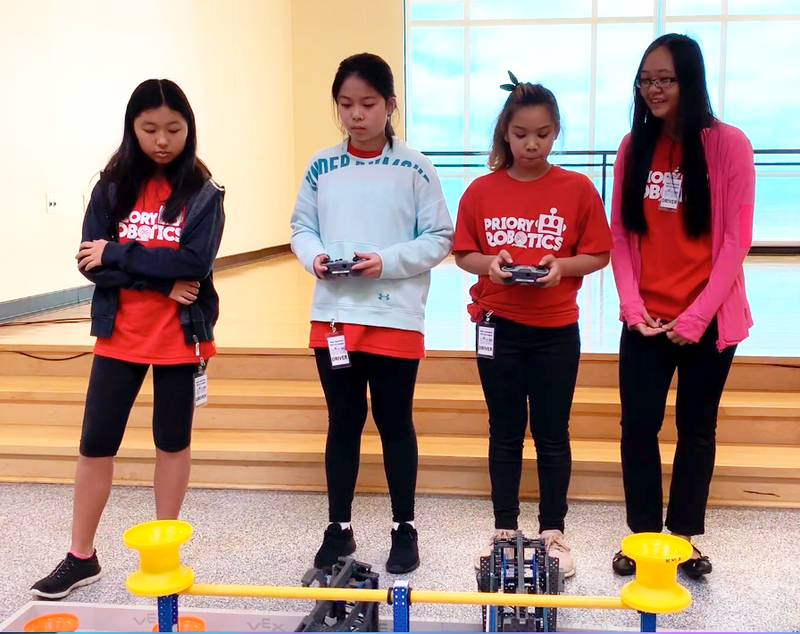 "I was very impressed with how well the girls worked together to help each other, including between the teams," Ed Tech & Curriculum Resource Teacher Debbie Shintaku said. "If one team was short a person, or needed help solving a problem or downloading a program, the girls were willing to jump in to help. They even drove for the other team if more drivers were needed. Both teams really worked together as one team with two robots. They also did a great job during their interviews with the judges – they really listened to the questions and responded thoughtfully and impressed the judges!" Throughout the entire process, all teams tested and documents their robots' performance and practiced driving them. In January, both teams used those ideas to improve their original design before building a second robot. Team Olga also fared well in the tournament, moving to the finals and placing eighth overall, while Team Louie also advanced to the finals and placed 20th overall. Congratulations to all Robotics Team students for their dedication and commitment to the design process and to their projects. Being a part of the team exemplifies our school's educational philosophy, which includes empowering students to lead with courage and create opportunities for creative collaboration within the community.